I don't know if non-Rumanian monuments erected on the current territory of Rumania qualify for this thread. Anyhow, I post one such statue and if there is interest, I can post some more. What do you mean by non-Romanian monuments? Made by a non-Romanian artist? No, Carol. What I meant is monuments that show non-Rumanian topic/figures, erected by non-Rumanians, but on the territory of today's Rumania, which were destroyed/demolished. The artists' nationality is irrelevant. I posted an example above. If there is interest, I can post some more. What I meant is monuments that show non-Rumanian topic/figures, erected by non-Rumanians, but on the territory of today's Rumania, which were destroyed/demolished. The artists' nationality is irrelevant. Dénes, I understand what you meant, but it is highly irrelevant from my point of view. Monuments are sometimes described as "urban furniture" (yes, like benches and light posts, the difference being the touch of an artist). Therefore their "nationality" is meaningless because they belong to the city in which they are. As such, all monuments which existed in the pre-WWII cities and towns of Romania (not only nowadays Romania) were as Romanian as the city to which they belonged. I cannot understand your point of taking something out of the ordinary. Anyhow, we could continue like that for ages, but the discussion on the "nationality" of monuments is both meaningless/irrelevant and off-topic. I will therefore stop here and wish you again "welcome on this topic". P.S. As you probably know, sometimes a monument can be removed without the violence implied by "destroyed/demolished". 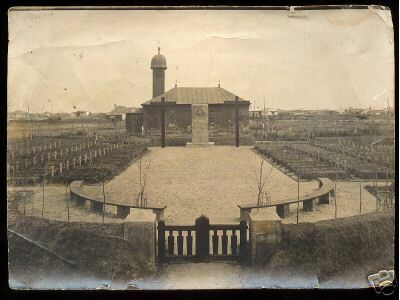 Below is the photo of an unidentified W.W. 1-era German war cemetery in Rumania, with a large monument in centre. Does anyone know where it is/was and if it still exists? The monument of Lascăr Catargiu in Bucharest. The Monument of the Union in Cernăuţi (now in Ukraine) by Teodor Burca and Victor Ştefănescu. Inaugurated on 11 November 1924, it was demolished after the Soviet occupation of Northern Bukovina in the summer of 1940. The statue of Queen Maria in front of the theatre in Oradea, inaugurated in 1921 and dismantled by the Hungarian authorities in 1940. The Monument of I. C. Brătianu in front of the "Independenţa" Secondary School (nowadays Public School no. 2) in Calafat. The statue of King Carol I by D. Pavelescu-Dimo, inaugurated in 1912 in Craiova. The statue of Gheorghe Gh. 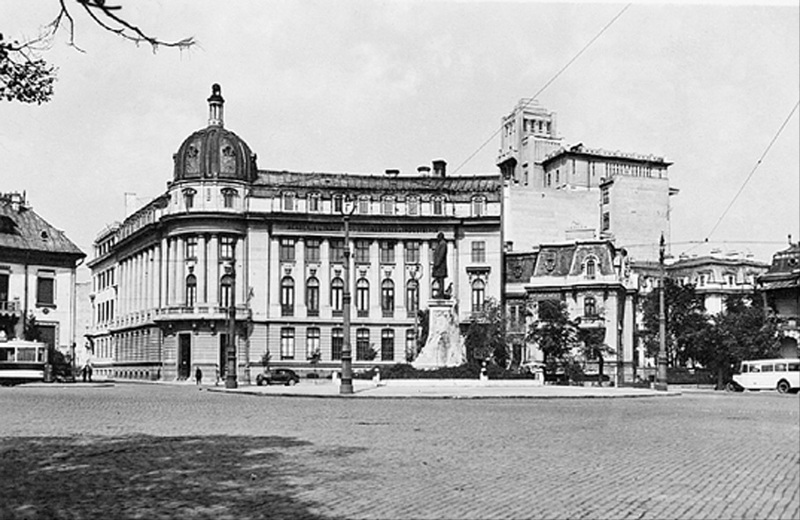 Mârzescu (1876-1926) in Iaşi, inaugurated on 27 September 1936 in the Cuza Vodă Square (nowadays 14 December 1989 Square). Member of the National Liberal Party, Mârzescu was considered responsible for actions against both the legionaries and the communists in the 1920s. It may therefore be possible that his statue was dismantled as early as the autumn of 1940, during the legionary rule. The Mârzescu monument was indeed dismantled in the early 1940s as on 18 October 1942 the statue of A.D. Xenopol by C. Baraschi was raised on its place. The Lupa Capitolina statue in Chişinău. In the 1920s the Italian State donated copies of the original statue in Rome that were placed in several Romanian cities to symbolise the Latin origin of the Romanian people and the unity of the country. The monument in Chişinău was inaugurated in 1923 in front of the building that in 1918 housed the Council of the Land (Sfatul Ţării) which decided the union of Bessarabia with Romania. The monument was destroyed after the Soviet occupation of Bessarabia in the summer of 1940. It took 50 years until a similar monument appeared in Chişinău. On 1 December 1990, as a result of the actions for emancipation and independence of the people in Bessarabia, a new Lupa Capitolina monument was unveiled on the same spot in front of the old Sfatul Ţării building (nowadays the National History Museum of the Republic of Moldavia). The monument, a donation of the Romanian Orthodox Church, is a copy of the statue in Bucharest donated to the Romanian state in 1906. Here is a postcard issued in 1940, depicting Ploesti (notice the proper period spelling!). [Photo taken from eBay]. Does 'Monumentul vanatorilor' still exist?